My students LOVE solving mystery pictures. 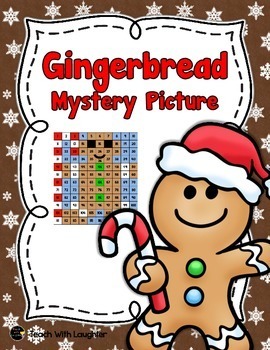 Students will enjoy this gingerbread themed hundreds chart mystery picture activity. This picture goes beyond the 100s chart to include numbers up to 120. Students will be engaged and be practicing place value. They won't realize they are practicing place value and numbers to 120! 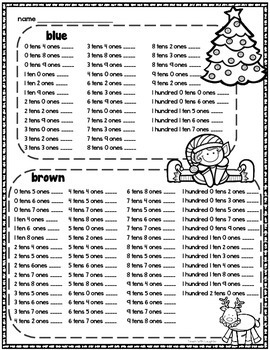 First, students need to determine the numbers when given the number of hundreds, tens and ones and record the number. 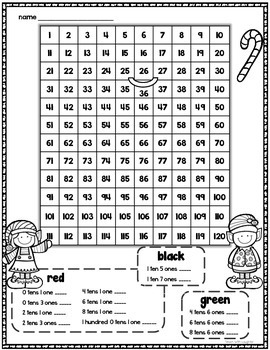 Then, students need to color the squares on the hundreds chart with the recorded numbers. Perfect for a whole class activity or for a station. I would copy the two student pages on one 11"X17" paper so students have the clues and the hundreds chart on one page.